Tax Professionals Today! 503-487-6234 Newberg, OR and surrounding areas! Save time, plan for financial growth, and clear up any confusion that comes along with managing taxes. Licensed since 2003, our tax professionals are highly organized, caring, and trustworthy. 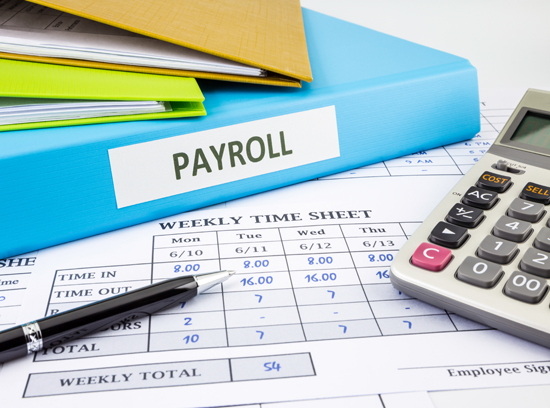 Stay compliant and keep employee management easy with efficient, detail-oriented payroll services. Beneficial forms that will help streamline everything for you. 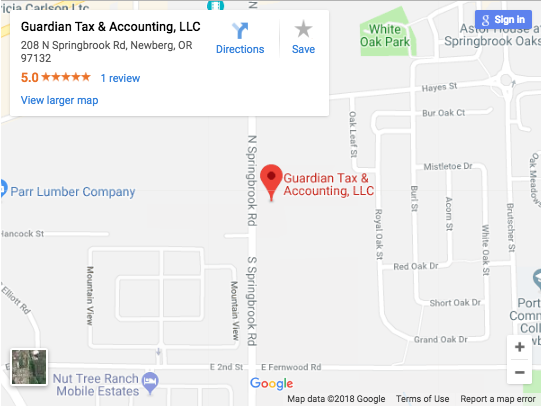 Guardian Tax & Accounting, LLC has been providing licensed tax preparation and consulting services for individuals and small businesses since 2003. We are proud to offer accurate and affordable services in a private one-on-one setting for any small business or individual looking to have a year-round tax consultant on their team. With experience in a wide variety of industries, we help you balance personal and business finances with sound judgment, clear communication, and remarkable attention to detail. 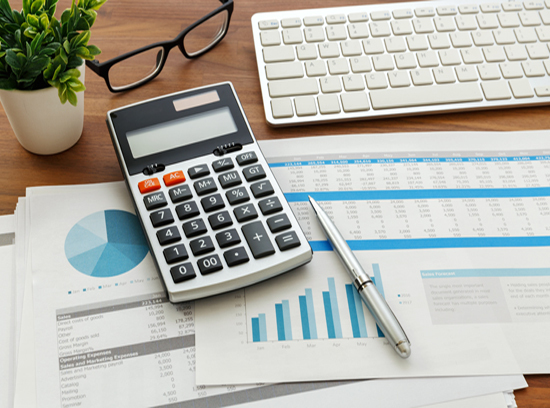 From budgeting and forecasting, bookkeeping, risk assessment, and small business startup advice, Guardian Tax & Accounting allows you to fully focus on the daily operations of your business. Your tax return will be handled and processed by the owner, so you know your taxes will be in good hands year after year. 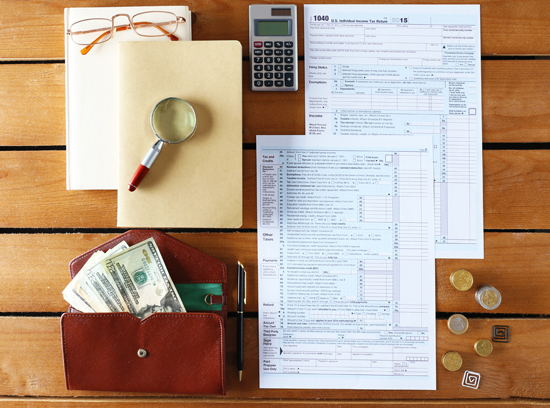 1040 – Form 1040 is used by all taxpayers to file their yearly income tax return. 1120 – The 1120 form is used by coporations to determine tax liability, and to report income, credits, gains, losses, and deductions each year. 1120-S – Similar to the 1120, this form is used by corporations that pass income, losses, deductions, and credits to shareholders. Schedule C – This is a 1040 form used by sole proprietors to report income or losses. Schedule E – Used to report supplemental income and loss from real estate, trusts, estates, and more. Schedule F – Schedule F is a form used to report profit or loss from farming. Filing taxes electronically often comes with a pricey surcharge. With Guardian Tax & Accounting you will not be charged any additional fees for electronic tax filing. And to express our gratitude, we also offer military and senior discounts as well as a $25 discount and free estimates for our new clients. Located in Newberg, Oregon, our local firm offers detail-oriented, organized, honest, and friendly service. Enjoy real value from your local tax professionals. 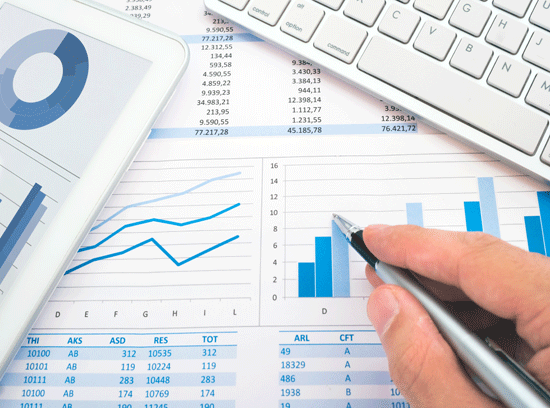 Contact Guardian Tax & Accounting for your personal tax returns, small business taxes, and prior year tax reviews. Newberg, OR and surrounding areas! © 2019 Guardian Tax and Accounting LLC. All Rights Reserved.